Jean-Pierre LESUEUR (DarkCoderSc) released a new Forensic Tool known as " Orion Browser History Dumper " . Most ammazing feature is , it extract the whole history in a seconds from the most famous browsers . 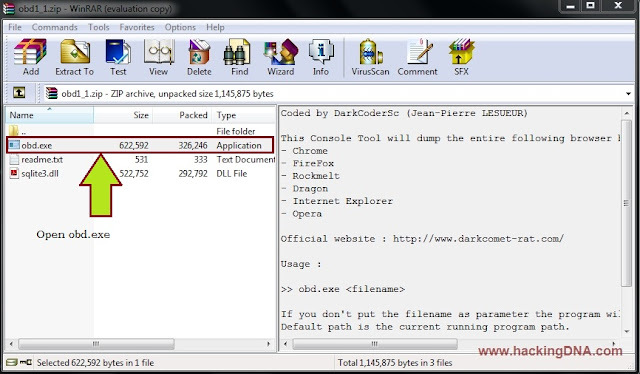 Step 2 : Orion Browser History Dumper opened now . 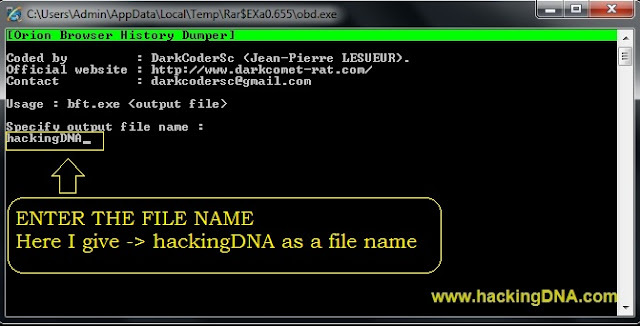 HereI give hackingDNA as a output file name . After giving the file name as you hit enter , the scanning will start . Within few seconds , all scanning will complete . Now check the location of the output file . This is how we can use this forensic tool .